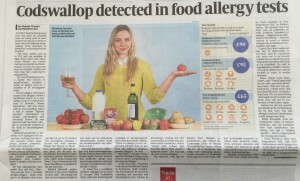 This weekend the Sunday Times ran coverage of some of our work investigating various alleged alternative food allergy and intolerance tests, including one test taking place in a Nutricentre store. Nutricentre are the health food chain owned by Tesco – regular followers of our work will recall that our investigation last year uncovered all manner of unproven health products and misleading claims available in one Tesco’s Nutricentre. ALLERGY and food intolerance tests that have no scientific basis are being used to warn people they may be sensitive to more than 100 different foods, ranging from chocolate to pumpkins, an investigation has revealed. The tests, which cost up to £95 and are available in high street stores and clinics across Britain, use various methods to identify food intolerances. Doctors say such tests have no scientific validity and warn that they could lead to malnutrition. 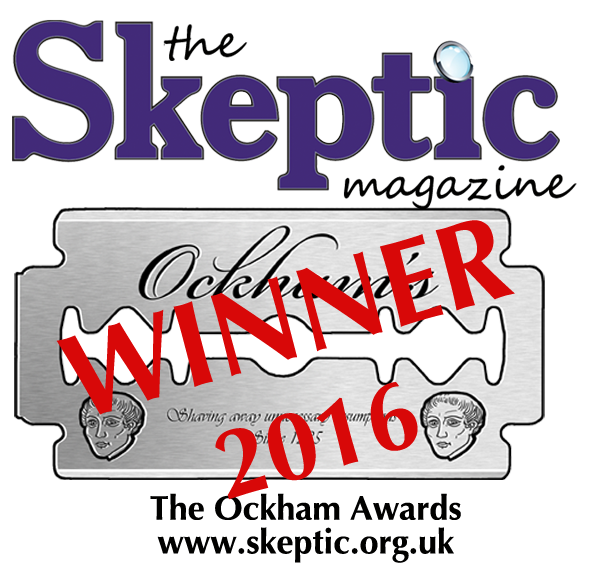 The Good Thinking Society, a charity that focuses on pseudoscience, arranged a series of allergy tests for a member of its investigation team. The full article can be read online for subscribers to the Sunday Times. This test was performed by a third party who had used the store’s consultation room. We are undertaking a thorough review to make sure these tests will not be performed at a NutriCentre again. We will remain in contact with Tesco to ensure they’re able to follow up on this commitment.